A study has found that 8% of Chinese children have experienced sexual abuse at some time in their life. 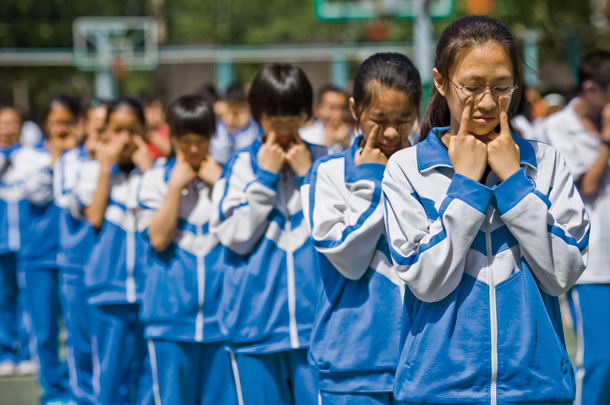 Researchers from the Department of Social Work and Social Administration at the University of Hong Kong made the claim after surveying 18 341 students in grades 9-12 from 150 randomly sampled schools during November 2009 through July 2010 in six Chinese cities. The children they surveyed had an average age of 16 and were equally divided into males and females. They found that the overall lifetime prevalence of child sexual abuse was 8% and the prevalence of abuse i the previous year was 6.4%. The study also found that boys were more likely to report child sexual abuse than were girls. Apart from having experienced other forms of child victimisation, several characteristics were associated with greater risk of child sexual abuse: being a boy; being older; having siblings; having divorced, separated, or widowed parents; or having an unemployed father. "This study provides reliable estimates of child victimisation to facilitate resource allocation in health care settings in China, the researchers conclude. "The strong associations between child sexual abuse and other forms of child victimisation warrant screening for additional forms of child victimisation once any one of them has been identified."